Blood Pressure : High Blood Pressure in Middle Age, Weaker Brain Later? 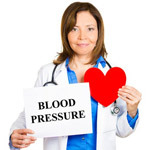 MONDAY, Aug 4, 2014 (HealthDay News) -- Let your blood pressure get too high in midlife, and you might pay the price in mental decline later on, a new study suggests. The study of almost 14,000 people found that high blood pressure in those aged 48 to 67 was tied to a late-life drop in mental ability. Over 20 years, people with high blood pressure in midlife experienced a modest but significant 6.5 percent decline in scores on tests of mental function, compared with people with normal blood pressure. "High blood pressure might be an important risk factor for dementia, since mental decline is a known risk factor," said lead researcher Dr. Rebecca Gottesman, an associate professor of neurology and epidemiology at Johns Hopkins University School of Medicine in Baltimore. However, she stressed that because "we know how to treat high blood pressure," bringing it under control might also cut a person's risk for dementia. For the study, Gottesman's team collected data on people taking part in a major U.S. heart disease study. The participants were followed for as long as 23 years and their mental abilities were tested three separate times. Gottesman's group found that people whose blood pressure was controlled with medication had less mental decline than those with uncontrolled high blood pressure. The effect was stronger among whites than blacks, the researchers noted. Blood pressure levels in middle age may be especially important to later-life mental acuity, Gottesman said. "This may be why some clinical trials that have studied the role of blood pressure medications [in older people] have failed to find a benefit in reducing mental decline and dementia," she reasoned. "The trials may simply not be long enough -- it may be most important to start treatment of high blood pressure when people are middle-aged." However, the jury is still out on whether blood pressure medication given in middle age can help boost late-life thinking and memory. "In our study, people who were on medications to treat high blood pressure did have less mental decline than did people not on medications," Gottesman said. "But it's possible those people had been on medications for years." Still, "our data suggest that, overall, being on any medications for high blood pressure may be protective," Gottesman said. The report was published online Aug. 4 in JAMA Neurology. Dr. Philip Gorelick is medical director of the Hauenstein Neuroscience Center at Michigan State University College of Human Medicine in Grand Rapids. He believes that the new study "provides some evidence that those who were observed and treated for high blood pressure were better off in the long run from a mental standpoint than those who were not treated for high blood pressure." Gorelick, who authored an accompanying journal editorial, said that doctors have long known that treating high blood pressure is key to cutting people's odds for stroke and heart attack. Now "another, but less well-documented benefit, of blood pressure lowering may be the preservation of mental function as we age," he said. "With additional study, we may be better positioned to tell our patients whether control of blood pressure not only prevents stroke and heart attack, but also helps to preserve their brain."